Singapore casino resort Marina Bay Sands (pictured) is taking a former Chinese Olympic gold medallist to court in Hong Kong for failing to repay a gambling debt, reported media in Hong Kong. 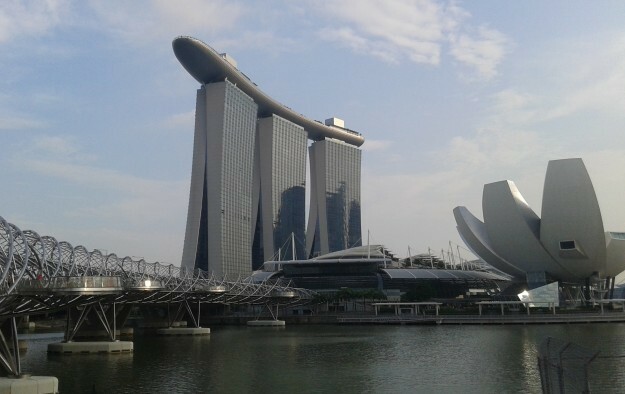 Marina Bay Sands is seeking to recover SGD454,375 (US$327,480) of a total of SGD1 million that Kong Linghui allegedly borrowed in 2015, plus interest, according to the reports on Monday. Mr Kong, dubbed the “ping-pong prince” in China, won a total of three Olympic medals – two gold and one silver. He had also won the world championships and the Table Tennis World Cup. Mr Kong is now the head coach of China’s national women’s table tennis team. Marina Bay Sands is owned and operated by a subsidiary – Marina Bay Sands Pte Ltd – of U.S.-based casino operator Las Vegas Sands Corp. The latter is the parent company of Macau casino operator Sands China Ltd.
Marina Bay Sands is taking Mr Kong to court in Hong Kong because casino debts are not legally enforceable in mainland China. Court documents cited by Hong Kong media said Mr Kong signed a credit agreement on February 19, 2015 to borrow SGD1 million from the Singapore-based casino operator. The documents state that he had since repaid SGD545,625 but had failed to offset the balance in full. The Chinese Table Tennis Association on Tuesday suspended Mr Kong as head coach of the national women’s table tennis team. The association said it decided that Mr Kong’s behaviour had been in “serious violation” of disciplinary requirements for national public officials. In a separate statement, the General Administration of Sport of China said it “attaches great importance” to the matter and “expresses deep regret over the adverse social impact arising from the matter,” reported the South China Morning Post newspaper. Mr Kong on Monday denied his involvement in gambling, saying in a statement on his Weibo account that he had merely accompanied his family members to the casino at Marina Bay Sands and that he was unaware of the unsettled debt dispute. He additionally said that he invited those who owed the debt to clarify what had happened and made clear that he had reserved his legal rights.